Jarrod Spector in "The Cher Show"
Jarrod Spector, the acclaimed Tony-nominated actor currently appearing as Sonny Bono in The Cher Show, has signed on to lead Broadway.com's new vlog—It's Always Sonny—starting on December 4. The vlog will follow Spector and his co-stars backstage and onstage at the new Broadway musical that chronicles the life of Oscar-winning music legend Cher. The Cher Show features a score of hits including "I Got You Babe," "Gypsies, Tramps and Thieves" and "If I Could Turn Back Time." 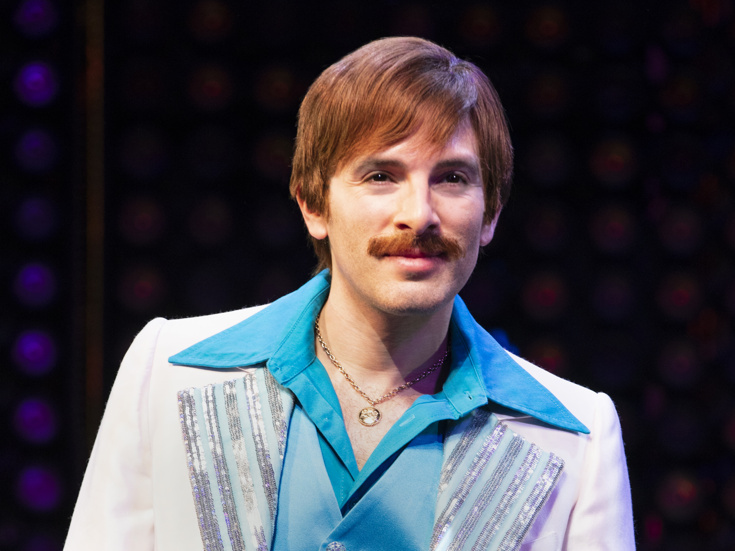 In addition to his performance in The Cher Show, Spector has been seen on Broadway in a Tony-nominated turn as Barry Mann in Beautiful: The Carole King Musical, with additional main-stem performances in Jersey Boys and Les Misérables. Tune in and watch the talented Spector take Broadway.com readers behind the scenes at the show that is thrilling audiences every night. It's Always Sonny will run every Tuesday for eight weeks.